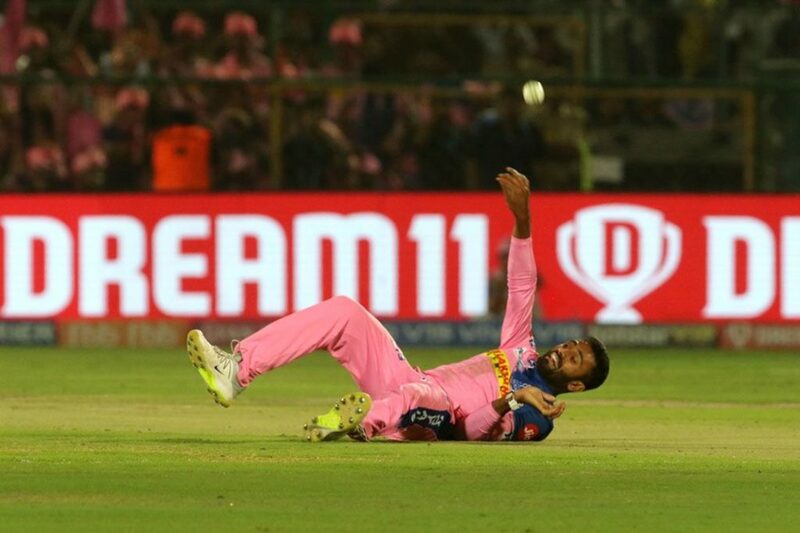 Rajasthan Royals’ Shreyas Gopal brought out his best googlies against Royal Challengers Bangalore to help his side to victory, and claims Tuesday’s Turbo Bowler award, writes ANITHA MADIKIZELA. Gopal inflicted a fourth straight loss on the Royal Challengers to help Rajasthan to their first win of the season. The wrist-spinner’s googlies accounted for three of Rajasthan’s four wickets against the visitors to set up a convincing seven-wicket victory for the home side at the Sawai Mansingh Stadium in Jaipur. The 25-year-old began his destructive spell by dismissing Virat Kohli (23 off 25 balls, 3×4) with a wrong’un that was just too good for the RCB captain, rattling the imposing batsman’s stumps straight after the powerplay. He followed up that massive wicket with another world-class scalp – executing an excellent low catch off his own bowling to get rid of Mr 360 himself, AB de Villiers, on just 13 (9 balls, 2×4). Gopal finished his onslaught off with the wicket of the under-firing Shimron Hetmyer (1) to finish with figures of 3-12 in his four overs at an almost unheard-of economy of three runs to the over in T20 cricket, earning himself the Player of the Match award. The Rajasthan Royals then made light work of the chase, largely thanks to a forceful half-century from Jos Buttler (59 off 53 balls, 10×4, 1×6), as well as an out-of-form Bangalore side that conceded just far too many dropped opportunities on the night. 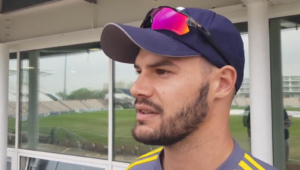 The Royal Challengers Bangalore outfit will be desperate to finally get a win on the board when they return home to face Kolkata Knight Riders on Friday. The Rajasthan Royals will also face the Knight Riders in their next fixture, which will be an evening encounter in Jaipur on Sunday.